Interstellar portals form grids connecting stars to one another; cylindrical wormholes run from our Sun to Earth; and certain sites around the planet act as their gateways: this is the newly-emerging picture portrayed in an earlier article, ‘Heliocentricity.’ Most of the entrance points have been here for thousands of years and often the Solar ‘deities’ and their descendants built edifices and monuments on these sites, usually incorporating deterrents to ward off the uninitiated. Scattered around the globe are many locations, both man-made and natural, dubbed sacred sites or hallowed grounds. They are considered to be places where an invisible realm overlaps the physical 3-D world. Some of these exude an uplifting sense of spirituality and may be aptly described by the Celtic term, ‘Thin Places.’ Many of them are entrance/exits to invisible highways connecting our world to the Sun. It has been noted that some entities made their very first appearance on Earth in physical form, to create grand entrances and leave a clear record of their arrival. This is true of the Tuatha Dé Danann, who “arrived in flying machines,” landing at Connacht, Ireland in the 4th millennium BC (see earlier article on the Tuatha). Likewise, in the 1st millennium BC, Viracocha (also discussed in another article) made his debut in bodily form at Island of the Sun on the Bolivian side of Lake Titicaca (which borders Peru). Knowing that they could only maintain physical (or semi-physical) form for limited periods and, further aware of their need to return to the Sun regularly, they all very soon established sites in our world where they would open portals to the inter-dimensional solar connections. The recently adopted term for such places is ‘Star-gates.’ Their entrances take various forms: inside temples, pyramids, caves and artificial hollows in rock faces: under artificial hills (called ‘mounds’ in both Britain and North America, or ‘tells’ in the Middle East); outdoors in vortexes between rocky knolls (as at Sedona). Where are they situated? Peru, Bolivia and Brazil in South America. Underwater Portals at Sargasso Sea, Lake Michigan and Lake Titicaca. Apollo, the principal Solar emissary of the ancient Greek and Roman cultures, established an interdimensional portal at Delphi in Greece. There he erected a temple and the Omphalos stone, marking the centre of the world, as it was known to mortals at that time. According to the usual practice, the Sun-gate was sited under the temple building, as this enables the doorways to be fastened in place. Wormholes connecting stars and planets form a kind of multi-dimensional scaffolding, and the openings into the third dimension must conform to an orderly geometric grid. Temples at that time were not the equivalent of what we call churches today. They were places where the so-called ‘deities’ could reside and operate from, and a point of communication in their absence. This one had the statement "Know Thyself" carved into its outer wall - one of the Delphic maxims attributed to Apollo. During his time in Greece from the 8th to 6th centuries BC, he would depart each winter and return in the spring. This gave rise to an annual spring festival called the "Theophania", celebrating his return. Even during his absence, Apollo continued to communicate with the people via an instrument at Delphi called the oracle. A succession of upright women, known as the Pythia, were chosen and trained in the agency of receiving and understanding Apollo’s unique manner of expression, then conveying them accurately to community leaders and the general populace alike. They would sit on a tripod seat, over an opening in the earth beneath the temple, when receiving and relating Apollo’s messages. Sometimes these were directives from the Sun-people who were inculcating civilized ways upon our world, or sometimes they took the form of question and answer sessions with human leaders. (We will refer to them simply as human, even though many of those on Earth by now were hybrids). This portal was in use for travel and communication right through most of the Greek and Roman Empires, until the 4th century AD. The portal at the Palace of Knossos in Crete is mentioned here due to its geographic location, but it was not one used by our own Solar Ancestors. Rather, it was a gateway used by entities from another star system. The House of the High priests and Phaistos Disk was the centre of activity, first for the Minoans from 3000 BC for around 1600 years, and later for the Mycenaeans. The star-gate was in a ‘sacred’ cave below, while interdimensional communications were carried out in the various other palaces which had their own ‘sanctuaries’. Both these races have since withdrawn from our world, but not without leaving behind their influence. Interstellar visitors will be discussed at another time. This beautiful and fascinating site at Agrigento, on the southern coast of Sicily, was the setting for many temples in the 6th to 5th century BC. This city was home to the eminent mystic Empedocles, who has provided much inspiration to this writer. Later to become part of the Roman Empire, Sicily was home to, or visited by, many of the great thinkers and teachers. Pythagoras, the mortal descendant of Apollo whose mission was to bring us mathematics, science, music and so much more , had also moved to Sicily in his later life, dying right before Empedocles was born. While Apollo was known here, it was his son, Asclepius (also spelled Aesculapius), who was the guiding hand in this ancient Greek settlement. Hundreds of Sun-dwellers originally came through a gateway and settled in this land – their mission was to bring healing methods to us – notable among them were Asclepius’ sons Machaon and Podaleirius, then Telesphoros, Euamerion, and Acesius – in fact a great number worked together as a team. Asclepius had a small temple erected (22 x 11 m) in the Valley of the Temples, under which a basement housed a Sun-gate portal. He was given the task of introducing medicine and healing to the mortals (this was before the time of Hippocrates). On his instruction, sanctuaries called Asclepions were built throughout Greece and southern Italy. Patients usually had to spend several nights in them, during which time they had to follow the regimen prescribed to them by the resident healers. The preliminary treatment was Katharsis, or purification, consisting of a series of cleansing baths and purgations, accompanied by a cleansing diet that included herbs. A further step was incubatio, involving one or more nights’ sleep therapy in an Abaton or “dream incubation chamber.” According to texts found at Nag Hammadi, Asclepius had more ‘human’ than higher-dimensional attributes, thus he required a higher guiding hand in his work – this was said to be provided to him by Hermes Trismegistus rather than his own father, Apollo. [i] This demonstrates the ongoing, unbroken nurturing of civilization provided to the Egyptians, Greeks and Romans. The portal connecting to ancient Rome was at Ostica, Antica, in a cave known as the Mithreum. The Solar entity Mithras was called Mithra by the Greeks and, even though he is remembered from the late 1st millennium in Rome, he actually spent time in India (as Mitra)[ii] and then Persia long before that. [iii] Working in harmony with Apollo and Asclepius, he introduced the concept to the Romans that we today would call ‘spirituality.’ Many Mithreums were established in caves around the empire and the process of incubation was also used, not for physical healing as in the Abatons of Asclepius, but to allow initiates to find their inner immortal selves – their Intelligible inner being inherited from the Solar Ancestors. There were seven levels of initiation for the aspirant to pass through, the second highest being called Heliodromus, The Sun-Runner. All Mithreums were decorated with a number of reliefs, namely the Mithras’ birth from a rock (commemorating how he had made his first earthly appearance from a cave), the Tauroctony (the slaying of a bull for the feast), the Banquet of the Sun, and the winged Lion-Headed figure wrapped by a snake – referring to the Caduceus which became the deity’s symbol. (It also refers to Mithras’ strong connection to the planet Mercury). There were certain mortals chosen to accompany the Sun-people through the interdimensional doorways and some even visited the Sun, but there were complicated preparations to alter their dimensional frequency to match that of the Solar beings beforehand. These were similar to the transfigurations described in the book of Enoch; likewise the Assyrians were sometimes ushered through the portal by the ‘deities’ spoken of in the Epic of Gilgamesh, and Viracocha took chosen mortals with him through the ‘Gate of the Sun’ at Tiwanaku, who all later returned as teachers. This is different to the simpler process of incubation, where the aspirant was put in a trancelike state in a niche within a cave, known as a ‘lair,’ to aid a shift in consciousness from the Visible to the Intelligible world: such an initiate was known as an Iatromantis. [I wrote an article on this called “The Way of the Iatromantis,” published in Insight Magazine, August 2005 edition; I may reproduce that article on this site sometime in the future]. It is generally accepted that Christianity borrowed heavily from the cult that grew up following Mithras’ departure, which is not to take anything away from the Christ, just that the founders of Christianity simply “took over” a number of buildings and rituals from the earlier culture and assumed their heritage. [iv] As with the portals at Delphi and Agrigento, the doorway at Ostia was closed by the 4th century AD. The region we now know as Turkey was a pioneering land for the visitors from not only our Sun, but also those from other stars, millennia ago. Along with Persia, it was seen as the land that united East and West geographically, yet divided Earth into two worlds. This region remained a sought-after power base right through to Emperor Constantine and then later the Ottoman Empire. Pluto’s gate is mentioned first as it was a Greco-Roman site, in line with those we have just looked at. The final two sites date back much earlier and were subject to non-solar influences. Pluto’s Gate was established at the ancient Greco-Roman city of Hierapolis -- now a World Heritage Site in Turkey –at the beginning of the 2nd century BC. Known as Plutonium in Latin, this portal is anchored inside a small cave, just large enough for one person at a time to enter through a fenced entrance, beyond which stairs go down. Today there are still the remains of a temple, a pool and a series of steps placed above the cave, which was described in historic sources as being ‘filled with lethal mephitic vapors’. The Greek geographer Strabo wrote, "This space is full of a vapor so misty and dense that one can scarcely see the ground. Any animal that passes inside meets instant death." They were instantly killed by the carbon dioxide fumes. As with Delphi, the vapors were intended to discourage trespassers. Initiates crawled over the floor to pockets of oxygen (carbon dioxide is heavier than air and settles in hollows). The cave is the source of thermal springs which attracted pilgrims for their healing properties. 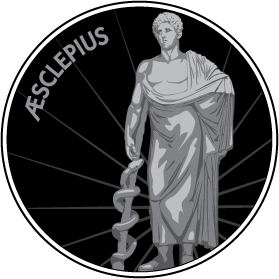 The overseers of healing and spiritual practices here were the descendant followers of Asclepius, who came to be known as Asclepiadae, corresponding with those we also know as Theraputae and, later, the Essenes. The Sun-dwellers spent as much time in our world as they needed to in order lay the foundations of medicine and science, but the idea was to eventually have humanity trained and proficient in these methods. Like the previously discussed sites, this one was fully functional until the 4th century AD, when it was eventually destroyed by Christians. As mentioned previously, not all portal connections originated from our Sun. Other parties arrived from the stars that were noted by Job in the Bible: the Pleiades, Orion and Arcturus[v] – as well as Aldebaran. Turkey looked like the perfect location and great experiments were to be carried out in architecture and construction in rock. Just like megalithic structures in Egypt, Lebanon, the UK and South America, these ancient builders used unknown methods to quarry, sculpt and maneuver large stones over challenging distances and heights. However both these sites were abandoned mid-project. The interstellar colonists of southeastern Anatolia who arrived in the 10th millennium BC devoted their time and energy to constructing magnificent edifices. Their star-gate was anchored below the sacred mound, or ‘tell,’ known as Gobekli Tepe. For almost two thousand years, hundreds of alien beings came and went, their intended mission being to bring spirituality to humanity - Gobekli was not so much a city as a spiritual centre that attracted human devotees from the end of the Mesolithic period. 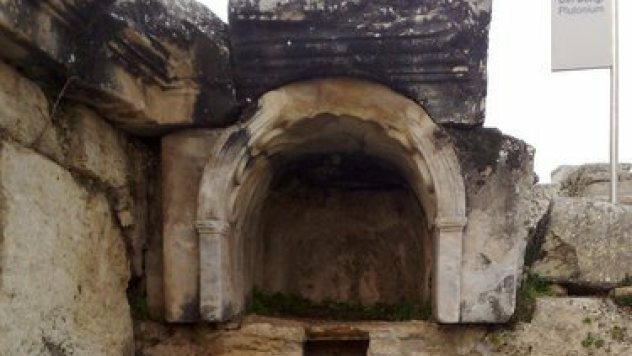 Experts have declared this to be the oldest religious site yet discovered. More than 200 precisely carved stone pillars of huge T-shaped stelae were erected in a series of circles. Each weighing up to 20 metric tons and standing up to 6 metres high, they were fitted into sockets hewn out of the bedrock. For reasons best known to themselves, their mission was terminated. When the inhabitants disappeared from the site around 8,200 BC, they did so very deliberately, burying all their structures under 500 tons of landfill each. The aliens departed Earth, while their offspring and other mortals who had advanced sufficiently, shifted to a higher dimensional frequency that surrounds our planet. In the following millennium, around 7500 BC, another race emerged in Anatolia, also staying almost two thousand years. Often called the world’s oldest city, Çatalhöyük was home to a ‘religion,’ rich in symbols. It housed large public meeting-rooms which acted as shrines where rituals were performed, invoking invisible beings in the realms of subtle energy. In this pre-iron age period, they established a sophisticated society with cleverly designed buildings that had smoothly plastered walls decorated with ornate murals. The city was uniquely built like a hive and the inhabitants lived in mud-brick houses clustered in a honeycomb maze, with rooftop sidewalks and holes in the ceiling for doorways accessed by ladders and stairs. The citizens observed an unexpectedly high level of cleanliness and hygiene for their day, with middens established outside the walls for sewage and food waste. Paintings and clay figurines are found throughout the settlement, notably the ‘Seated Woman of Çatalhöyük’. By the end of their time there, the population had grown to around 10,000, which makes it a very large city for that time in history. At some point between 5700 and 5600 BCE, the interstellar visitors returned to where they came from and the human/hybrid civilization they had nurtured also vanished, leaving their city standing vacant. They continued to dwell on or around this geographical location, but in a higher dimensional form than ours. The wormholes & Sun-gates we are examining in these articles all correspond with the sites where Earthly civilizations sprang up and developed. Due to genetic manipulation and inbreeding with Solar beings, we are no longer the primitive hominids that roamed Earth tens of thousands of years ago. We are now ‘dual’ entities, comprising physical bodies with altered DNA, and immortal light-bodies which we inherited from our Solar Ancestors. Many believe that we are on the verge of shifting to a new breed of being in a new age – some see a golden age, while others predict doomsday. In the interests of understanding our roots and our destiny, we will continue to look at all the other portals, vortexes and Sun-gates around the world in several new articles in the coming months (mid to late 2015). [v] The visitors from the Pleiades, Orion and Arcturus are the three noted in the 6th century BC writing known as the Book of Job in the Bible: see Job Ch.38 Vs.31/32.